When it comes to buying a car, you probably fit into one of two categories. Some car buyers in Mandeville, LA, need to buy a car right away, and they don’t have time to wait around for the best price. On the other hand, you may fall into the second category, which includes people who know they want a new car but are waiting for the best time to buy. If you fit into that second group, you may want to know how you can take advantage of the best Porsche Cayenne pricing available. Take a look at these easy ways to make sure you don’t pay a dime more than you have to, and get ready to drive off the lot of your local dealership in your new ride. There are a few times when it’s better to buy a car than others. The summer is one of those times. Why? That’s because the dealership in Mandeville, LA, you visit will get the new year’s models in sometime during the summer. Once that happens, the dealership will try to get the old models off the lot as soon as possible. This means that you may have a chance to get a better price. Of course, there is no guarantee you’re going to find a lower price during this time of year, but it is certainly worth a try. Most people in Kenner, LA, work during the week, so it can be hard for them to get out of the office and into a dealership to look at cars. However, if you have the time and the means to get out of work to go car shopping for a while, you will be in luck. It’s easier to get the ideal price when you are working with a dealer who isn’t busy with other customers. When you go to your dealership during the week when other people are at work, you can be sure that you’ll get superior-quality service. Not only will you be able to get a better price, but it also makes the buying experience more pleasant. These are just a few ways you can get the ideal Porsche Cayenne pricing at a dealership near you. Still looking for the best place to buy? 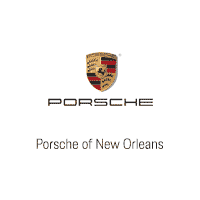 Come check out what we offer at Ray Brandt Porsche today.